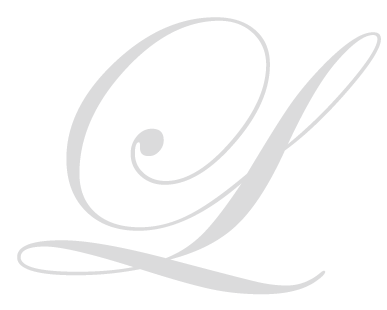 Home > Weddings > The Wedding Couple – Le Limo’s Trolley and the Rolls! The Wedding Couple – Le Limo’s Trolley and the Rolls! Le Limo’s Custom-Built Luxury Trolley paired with our Vintage Rolls Royce in the autumn sun. One of the most popular choices for wedding parties is the combination of our 1960 Silver Cloud Rolls Royce and our Custom-Built Luxury Trolley. Typically, the bride and groom travel to and from the reception in the Rolls as well as stop for a photo shoot. The Rolls makes for stunning scenery behind a beautiful bride. 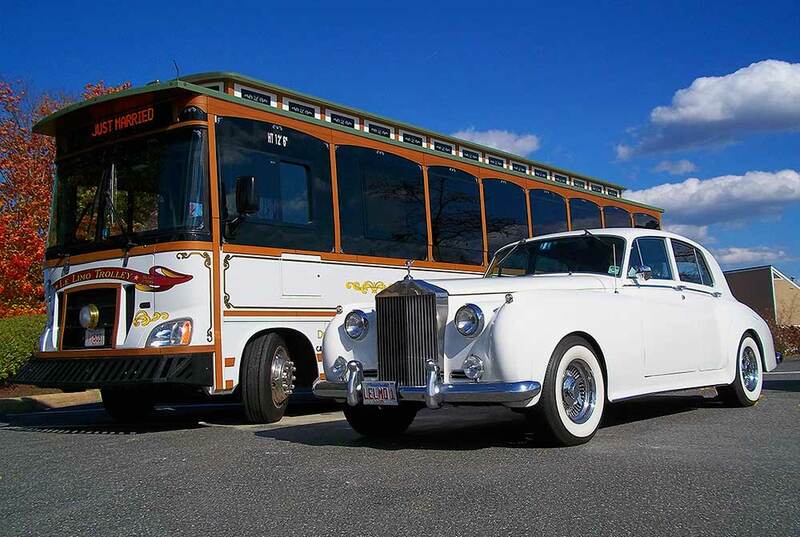 The trolley is used to transport bridal parties and wedding guests. With the increased liability on the hosts for drinking and driving, the trolley is a high class way to get your group to and from the event safely. The Custom-Built Luxury Trolley is a magnificent vehicle equipped to seat 36 passengers. This Trolley has plush leather perimeter seating, wood grain exterior trim, LED accent lighting, it’s adorned with metallic gold graphics, oak interior trim, classic brass hand rails, brass bell with pull ringer, it has an onboard mini bar with glass stemware, a premium sound system, and an electronic front designation sign. The trolley was custom designed for Le Limo by Cable Car Classics in San Francisco, CA, it is is the first of its kind in the US. This car is the epitome of class and refinement. The snow-white 1960 Silver Cloud Rolls Royce preserves its vintage appearance with its immortal “Spirit of Ecstasy” hood ornament, its memorable lines and its traditional wide white wall tires. The Rolls has fully restored classic features, a dove grey leather interior with beautiful burled walnut trim and has A/C for those hot summer weddings. It is the quintessential backdrop for photographs and a favorite with our brides who want to make their special day even more memorable. These are genuinely unique transportation options that truly exemplify the elegance of your special day. Of course, we have more traditional options as well with our fleet which includes limos, Mercedes Sprinters, Party Buses, stretch SUVs and more. However, we only have one Trolley and one Rolls and sometimes they are booked over a year in advance. If you’re considering adding these vehicles to augment the grace and sophistication of your event, call us now at 508-842-4790.